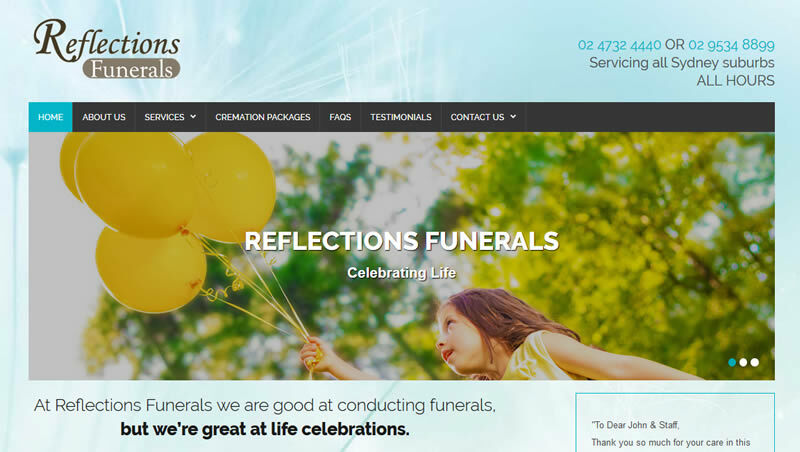 Reflections are a Funeral Director based in Penrith NSW. I optimised their website and set up a Google Business Listing for them. Within a short period of time they ranked #1 for ‘Funerals Penrith’ and many other search terms. A family-owned Funeral Director in Penrith, NSW.